Do you love Double Halo Engagement Rings? This Double Emerald Halo Ring has two halos of 1.3mm accents surrounding a 4x6mm Emerald cut Emerald. The accents as well as center stone could both be made larger. Different shapes and sizes could be used for the center stone in our Double Halo Engagement Rings as well. 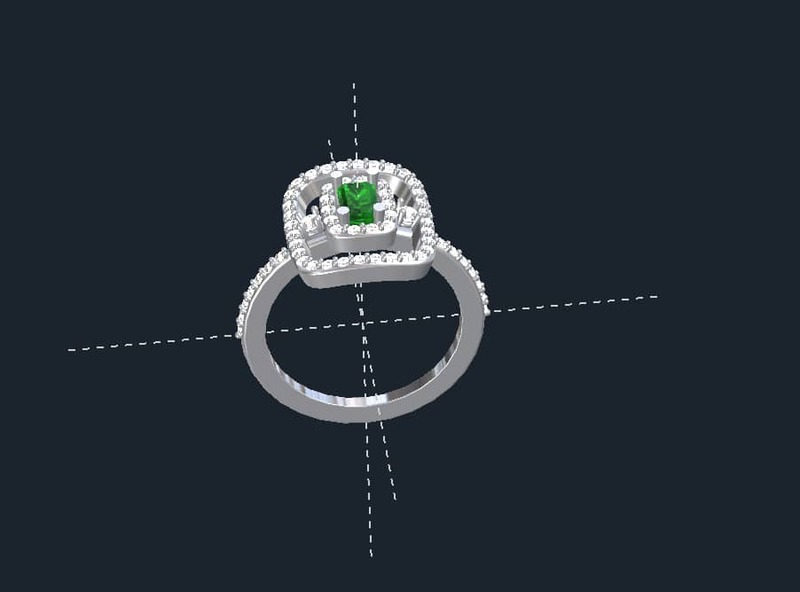 We think a cushion cut would look awesome in this design. 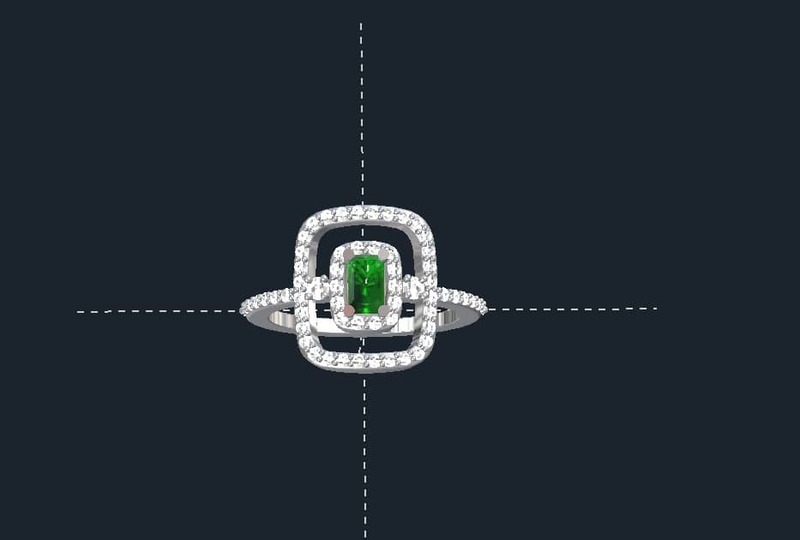 CENTER STONE: Round from 5×3 to 8×6 for Emerald cut. Up to 6mm for square or a round stone. Click HERE to see another of our Double Halo Engagement Rings. Click HERE to learn more about custom jewelry, to see our portfolio, or to contact us about Double Halo Engagement Rings. It can cost less than you think to have your very own custom engagement ring made just for you. Why hassle with the retail stores for boring and overpriced engagement rings?